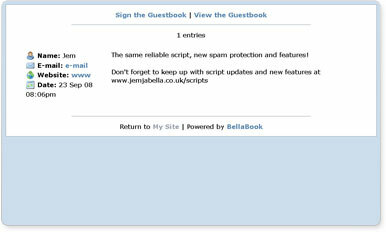 BellaBook is a small and simple PHP guestbook. It works using "flat files" - that means no need to fiddle with complex MySQL databases! BellaBook has been crafted to provide a feature packed user feedback system with an easy-to-edit coding structure; using CSS to control it all.